To tone, or not to tone, that is the question! Toning the face is perhaps the most neglected step in the average woman’s skincare regime. There are many reasons why this may be, including a misunderstanding as to what a toner actually does. 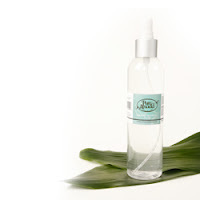 The primary function of a toner is to balance the skin’s pH level after cleansing. Following cleansing, the skin’s pH level is often out of whack, so we call in the cavalry, the toner, to balance out the pH level prior to applying serums and moisturizers. This step is crucial in that balancing the skin before applying serums and moisturizers will allow these drops of gold do their jobs at peak capacity. Toners can be applied to the skin using cotton pads or sprayed directly onto the face. I am not a fan of creating waste during beauty routines, or in general, however applying the toner using an organic cotton pad is the most hygienic way to use a toner when used to remove any residual makeup or cleanser left on the skin after cleansing. I prefer to cleanse my skin thoroughly, and spray the toner directly onto my skin leaving to air dry… all the while hoping and praying that I got my skin squeaky clean. The benefits of using a toner are cleaner, healthier looking skin, and smaller looking pores. You can also use a toner throughout the day to freshen up your make-up; this is a wonderful treat especially on a hot summer day when you need a little pick me up! There are many toners on the market today, some are great, some deserve to be ripped off the shelves and squashed under your feet until barely recognizable… but I digress. My absolute favorite toner available on the market today is Pure Anada’s Marine Mineral Toner. It is alcohol free, all natural, and can be used on all skin types. This product contains divine ingredients such as aloe leaf juice, Kelp Extract, Blue Green Algae, Hyaluronic acid, and Dead Sea Salt, ingredients that your skin will love! It retails for a very reasonable $19.50 CDN, a great buy for a great product! So for those of you looking for a product that will improve the appearance and feel of your skin and pores, why not try a toner on for size, you will be glad you did!